Mark Clements is an attorney with 30 years of experience in the areas of estate planning, wills and trusts, tax planning, probate and guardianship. 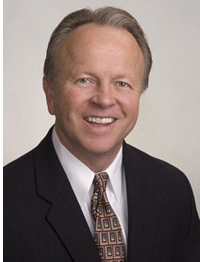 He has extensive experience in helping families plan for long-term care for a loved one through asset protection. Mark has represented hundreds of Florida seniors to qualify for Medicaid benefits for long-term care. Mark is certified as an Elder Law Attorney by the National Elder Law Foundation. Additionally, Mark is a member of the Central Florida Mediation Group, with over 25 years of experience mediating disputes at the Circuit Court level. Mr. Mark Clements is a third generation native of Lakeland, Florida. He graduated from Florida Southern College with high honors in 1976. He received his J.D. from Cumberland School of Law with honors in 1979. Mark was admitted to the Florida Bar in 1979 and is a member of the Elder Law Section and the Wills, Estates, and Probate Section of the Florida Bar. He is a member of the National Academy of Elder Law Attorneys. Mark is certified as a Circuit Court Mediator by the Supreme Court of the State of Florida. The Elder Law Firm of Clements & Wallace, P.L. is dedicated to serving the legal needs of senior Floridians. We strive to provide accurate and current legal advice to seniors and their families in a professional and sensitive manner. Our firm is unique in having both partners with an extensive background in elder law. With over three decades of combined elder law experience, we have a proven track record of success that can provide you with peace of mind in a complicated world. Law Firm: Elder Law Firm of Clements & Wallace, P.L.